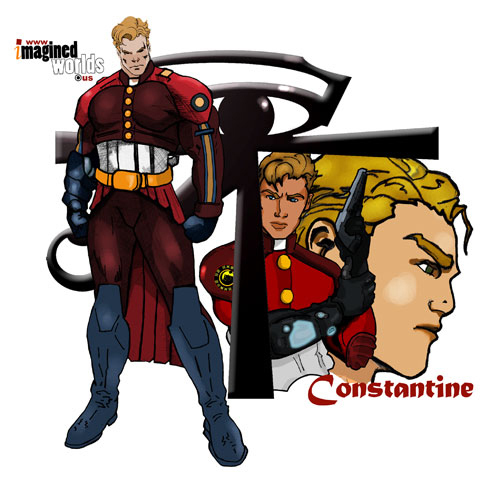 Constantine lived his entire life behind mannered monastic walls. Growing up he had little contact with people outside of Faith. Upon completing studies at temple, his family expected Constantine to take a position with great opportunities to ascend in authority. Instead he chose a protectorate career path in the Knights Templar, entering the Order at its lowest level. Constantine compromised with his family and accepted a commission at the caustic Court-at-Columbia rather than a more violent provincial garrison. Sebastianâ€™s four-year tour in the provinces earned him numerous citations for bravery. Over his eighteen years of commissioned Templar service he refused senior leadership promotions three times, preferring to remain a field operative, and effectively sabotaged the protection of superiors and advancement someone with his experience and honors desires. The singular sense of purpose and being that comes with inclusive in the collective fades with each passing day. Daily experiences seem both familiar and foreign. Itâ€™s the ultimate dÃ©jÃ vu for an entity to whom past, present and future normally is fluid.